Snowy Chen, an international student at Northeastern University, has dreams of working at a fashion magazine like Vogue. 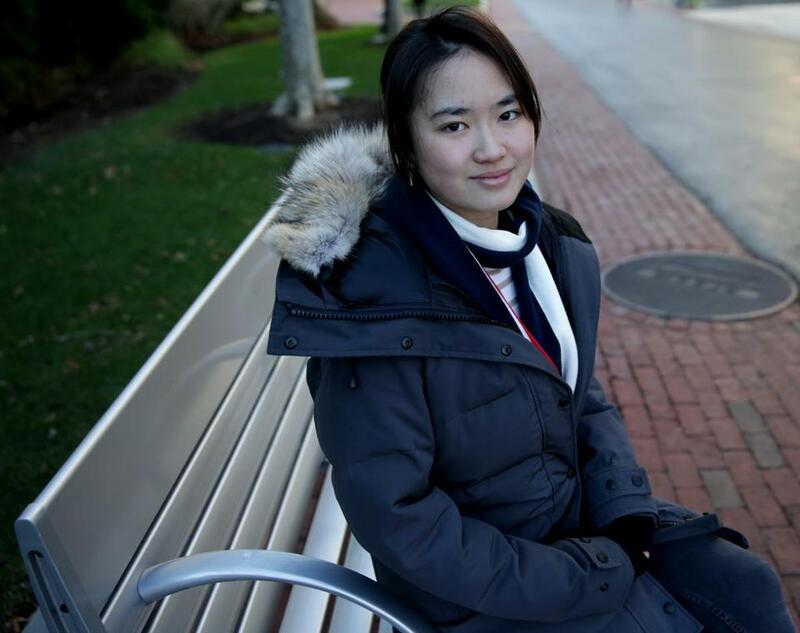 Like many Chinese students, Snowy Chen had no intention of going to college in China. She dreams of working at a fashion magazine, Vogue maybe, so she set her sights on the United States. But Chen,a bubbly 18-year-old, worried about her English skills and how she would manage in an American classroom, with its unfamiliar teaching style and baffling cultural norms. So Chen did what a growing number of foreign students are doing — two years ago she enrolled in something called a pathway program, which guaranteed her admission to Northeastern University if she passed intensive English classes mixed with some academic courses. In the past five years, these programs have sprouted up on college campuses across the United States as a gateway for foreign students who might otherwise be rejected because they lack English proficiency. Third-party companies run many of the programs and admissions requirements are typically lower. Students can score much lower on English proficiency exams, and many programs do not require students to take the SAT or GRE. Some do not require teacher recommendations or essays. If students earn high enough grades or pass an exam at the end of program, they can enroll in the university as a regular undergrad or graduate student, often with some college-level credits from the course. Companies that operate the programs bill them as a win-win for colleges, yet, like many facets of the lucrative international student industry, they are controversial. Some districts are turning to international testing for a perspective on how well programs are preparing students for college and beyond. On one hand, the programs guarantee schools a steady stream of international students who diversify the campus and usually pay full tuition. But they also allow schools to admit students with lower qualifications, and there is little outside research to show whether pathway programs are effective at bringing students up to speed. All the while, the outside companies make money through a variety of arrangements, usually by taking a cut of the tuition students pay during the time they are in the pathway program. Critics say such programs encourage colleges to lower their standards simply for the profit international students bring, but others say the programs widen access to equally bright students who simply lack English skills. “It is intentional, actually, to lower some of the standards, so you can expand the pool of students,” said Rahul Choudaha, a researcher for NAFSA Association of International Educators, who is preparing a first-of-its-kind study about these programs. 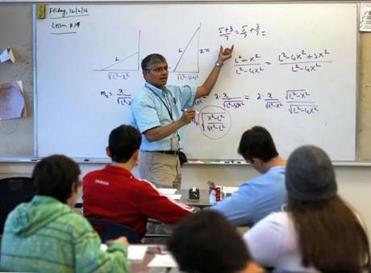 Six companies dominate the market, including Kaplan, the well-known test prep company that also recruits students overseas and runs independent language schools in Boston and other cities. For at least seven years, Kaplan ran Northeastern’s pathway programs, but now the university is in the process of assuming full oversight, administrators said. Northeastern said 7 percent, or about 800, of its current 12,000 international students came through its pathway programs, which cost about $24,000 per year. Chen participated in a special pathway program, also run in part by Kaplan, in which her first year of Northeastern courses were taught in China. The university participates in a similar program in Nigeria, allowing students to come to the Boston campus once they successfully complete two semesters of the pathway program in their home country. Students who attend the pathway programs on the Boston campus may live in the dorms and have access to other university services such as the gym and dining hall. At Wheelock College, a small, financially struggling school in the Fenway, students need only score a 60 out of 120 on the TOEFL English-language exam, a test required by most schools for all international students, to join the program, and they are not required to submit an SAT score, personal statement, or letters of recommendation, according to its website. Annual tuition and other fees for that program total $49,000 for the year. The Wheelock program, run by the British company Cambridge Education Group, brings about 60 students a year to the school annually thanks to its global network of 150 recruiters, the company said. Students take most classes separate from other Wheelock students, then continue either at Wheelock or transfer to one of several local colleges with which the program has agreements. “We give them so much support in their transition to American higher education,” said Kimberly Sizelove, center director of the Wheelock program, called On Campus Boston. Such programs have become popular with mid-tier schools because the companies assume responsibility for recruiting foreign students. Northeastern, on the other hand, has now developed its own network of recruiters and doesn’t need Kaplan. “[Smaller schools] really need international students, and they don’t have the resources to find them themselves,” said Lisa Besso, who formerly worked for the pathway company Study Group and is now a private consultant. The University of Massachusetts hosts pathway programs on its Boston, Dartmouth, and Lowell campuses that are run by the multinational company Navitas. The Boston program enrolled 236 undergraduates and 50 graduate students this fall, according to the school. In that arrangement, Navitas collects about 70 percent of the tuition, which for undergraduates is about$32,000 annually, according to a copy of the contract obtained by a public records request. But although schools and companies boast about the high success rates of the programs and how seamlessly students transition into the university afterward, students and a professor interviewed for this story expressed concern that isn’t always the case. The professor, who asked not to be named because she still works in the field, said more than a few students flunked out of the Northeastern program and some who did not earn a passing grade on the exit exam were able to appeal and enter the university anyway. Students said some of their pathway classmates saw the program as a way to skirt regular entrance requirements. “For those people who are not good at English, the only reason they take the pathway program is they don’t want to take the TOEFL [English exam] because they know they won’t get a good score,” said Chen, the Chinese student who is now a third-year student at Northeastern living with three American roommates and studying journalism and theater. Many pathway students go on to study business, science, or art, but many also matriculate into Northeastern’s College of Professional Studies, a school originally designed for working professionals. It has lower entrance requirements and costs than other Northeastern colleges. Sundar Kumarasamy, Northeastern’s vice president for enrollment management, disputes the idea that pathway programs allow the university to admit students who aren’t qualified. The program’s exit requirements prevent that, he said. “Their performance is on par with any international student who is coming in,” he said in a phone interview. Northeastern and UMass declined requests to visit a pathway class. In addition to English, many pathway programs teach students about the norms of an American classroom, such as how to give presentations or complete group projects, which are uncommon in other countries, especially in Asia. Students said more than anything, those skills were useful to learn. Still, many said they regret having paid the high costs of the program. One said it would have been cheaper to have re-taken the English exam multiple times to try for a better score, rather than pay around $12,000 per semester for the pathway program. Letty Lei, an ambitious 36-year-old Northeastern student from Taiwan, completed the graduate student pathway program in Boston. She graduated last month with a master’s degree in leadership from the College of Professional Studies, with a concentration in project management.